Food glorious food! 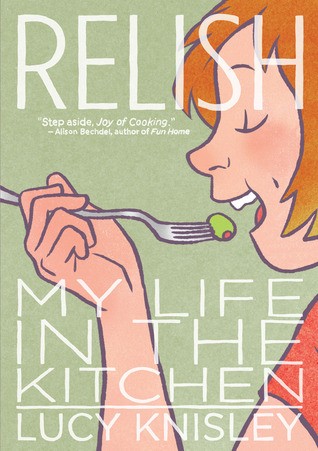 I picked up Relish: My Life in the Kitchen after discovering it on Goodreads. Being that I love food, recipes, fresh ingredients and cooking, I had to give this a try. It’s a graphic novel depicting the life of Lucy Knisley through food. She was lucky enough to be surrounded by a mother who was an excellent chef and a father who knows when he’s getting a good meal. She was encouraged to eat healthy and was exposed to an eclectic array of food and cultures. Relish consists of twelve chapters starting from her childhood to her years at university in Chicago. At the end of each chapter there is a recipe that is straight forward and easy to produce, which consists of simple drawings and measurements. It correlates to the preceding chapter. There are recipes for sangria, guacamole, chai tea, pesto, mushrooms, etc. This would make a lovely present for a lover of food and of graphic novels. The artwork is excellent and it’s a fast read that you’ll want to take your time with. 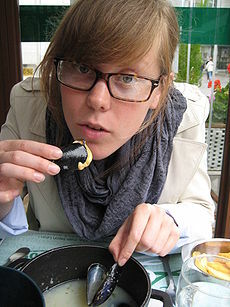 Lucy Knisley is the writer and designer of quite a few other works such as Radiator Days, Make Yourself Happy, and French Milk, which recounts Lucy and her mother’s move to France and living in a 5th arrondissement apartment in Paris for six weeks, among other works. 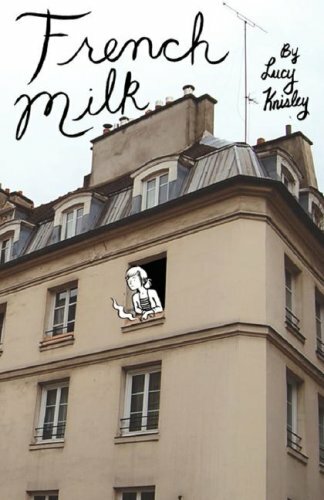 French Milk is a travel journal that combines photography, drawings, and introspection. Knisley is an American writer, comic, and musician, who studied art at The Art Institute in Chicago. With her touching graphic novels about travel and food and her music and videos she has become a growing success online. You can can learn more about her on You Tube at http://www.youtube.com/user/lucylou21?feature=watch and her blog at http://www.lucyknisley.com and http://lucyknisley.tumblr.com. Check out the video on her tumblr where Mtv interviews her about Relish: My Life in the Kitchen.